If you like blowing things up or breaking things, there is only one online slot that you should be considering and that is Demolition Squad from NetEnt. 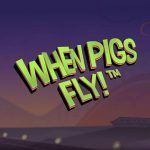 This is an online slot that was first launched back in 2013 and while it can be considered to be quite old, you would be surprised at just how many players still love playing it. This is a testament to the quality that NetEnt has once again produced for players that love their online slots. In fact, we would say that this 5-reel, 40-payline slot is right up there with the very best that they have developed. It might not have the number of game features that many of their other slots have but the ones that it does have are exceptionally lucrative and enjoyable as well. There is Demolition Wilds, Wild symbols, Scatter symbols and a fantastic free spins round that is almost guaranteed to bring you payouts. Demolition Squad has to be seen to be believed but what we can tell you right now is that this online squad has to be among the ten best online slots that NetEnt has delivered. When you consider they have developed hundreds, you will understand how much of an accolade that is. Read on to learn more about Demolition Man from NetEnt and why we feel you should be taking a look at this excellent online slot the next time you want to enjoy some fun online gambling. Despite Demolition Squad being a fairly old slot that has been around for almost five years, it actually looks very good. The graphics are certainly appealing and they have been drawn in a comic-book style that is certainly good to the eye. As the reels spin, you will notice how effortless the animations are and unless you have a bit of a dodgy internet connection you are not going to experience any glitches or lag. On the screen, you will notice that your at some kind of demolition zone. Your reels are what have been drawn to look like the building that is going to be demolished. On those reels, there are various symbols that will hopefully make up many winning combinations for you. The 10 through to the ace are the symbols that will bring the smaller rewards but the larger payouts will be found using the theme-related symbols such as the range of characters and a robot. For the special bonus symbols on Demolition Squad, there is the scatter symbol that is represented by a warning sign and the wild symbol that is represented by the self-labelled ‘Wild’. When it comes to placing your bets, there is a betting range that starts from 0.40 per spin and goes up to a massive 400.00 per spin. There is little wonder why this online slot is so popular among high-rollers when you factor in that huge max bet that can be placed. Combine that with a max payout on Demolition Squad of 4,000x the spin bet and you have another reason why those with bigger bankrolls love playing it. There are two good bonus features on Demolition Squad and the first of them is the Demolition Wild feature. When you land two wild symbols on the reels that are separated by a reel in between them, those wild symbols transform into demolition wilds. They will then demolish the symbol in between them and turn that into a wild symbol as well. As you can imagine, this then gives you three wild symbols on the reels and will usually result in some good wins coming your way. It should be noted that wild symbols in this game act in the normal way of substituting for any other symbol on the reels except for the scatter symbol. Next up, we have the main bonus feature on Demolition Squad which is the lucrative free spins round. This is where some really big money can be won and your eyes should light up every time you activate it. 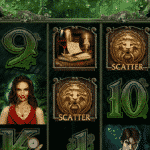 By landing three or more scatter symbols on the reels, you will be given at least ten free spins. That is for three of the scatters but four or five scatters will actually give you twenty or fifty free spins respectively. Furthermore, each win that you manage to land during the free spins round will have a multiplier of 3x attached to them, so you can just imagine the potential you have to win big during this round. Just to top everything off you can also earn more free spins when you land at least three scatter symbols on the reels during the round. Without a doubt, this feature is what makes Demolition Squad what it is and is one of the biggest reasons for its continued popularity at the online casinos. The ability to be able to bet big on Demolition Squad is definitely one of the biggest reasons for its popularity. High-rollers the world over are always coming to this online slot due to being able to bet as much as 400.00 per spin on an online slot with a very good RTP of 97.10%. That RTP means they are getting great value for their money, especially considering this is a medium variance slot that should pay out in a fairly regular fashion. Where Demolition Squad really excels is through the bonus features it has and in particular the free spins round that could give you as many as an initial 50 free spins with a multiplier of 3x. The demolition wilds are also good value when they come into play for more reasons than just being wild symbols. All in all, NetEnt has once again worked its magic and has produced an online slot in Demolition Squad that is of top-notch quality. It definitely gets our seal of approval and we are sure it will also get yours once you have been and tested it out at your favourite online casino.